I got to see quite a few cow images today but the one that stood out came from Charlie and Lola’s DVD Vol.5 Series. For those of you who don’t know, Charlie and Lola started as a British series of books by Lauren Child, featuring a fun and imaginative sibling duo. The books are wonderful and the Charlie and Lola DVD series is even better, as it brings both characters and their friends to life, including some very cute British accents. 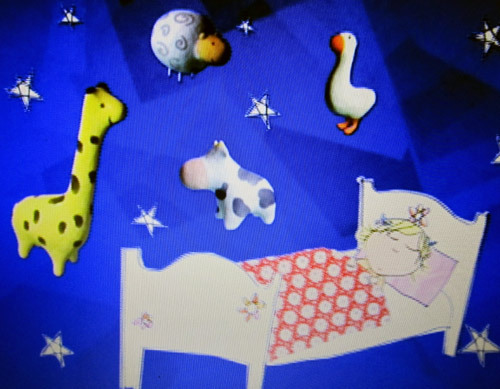 Every day you see a cow on Charlie and Lola!